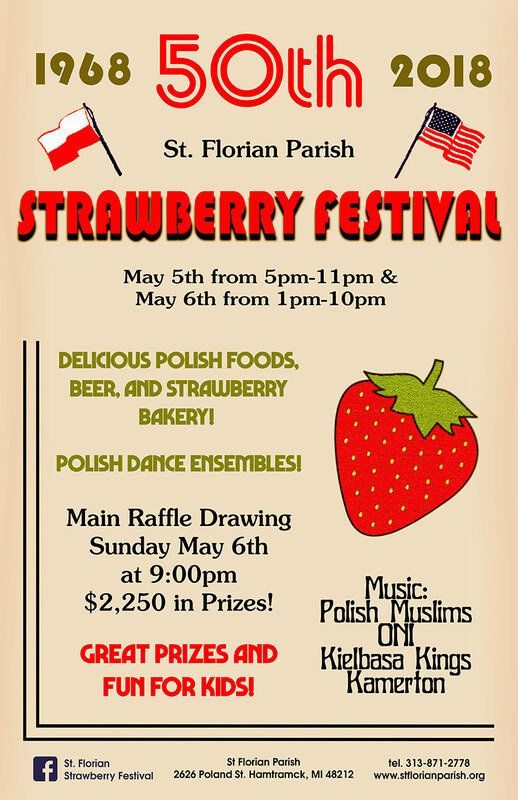 St. Florian Strawberry Festival May 5th (5 pm – 11pm) and May 6th (1 pm – 10 pm). Polish Dinners, Beer and Strawberry Bakery. Polish Dance Ensembles, Live Music and Raffle Drawing with $2,250 in Prizes.